Please get in touch with us through our contact form below or if you have a general question which you think others maybe interested in knowing the answer to, then please drop it on the feedback page. 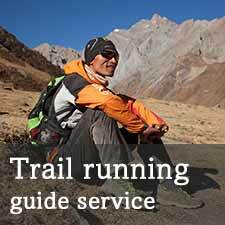 We’ll do our best to answer any of your questions about Nepal, trail running here or anything else for that matter. Great website. I look forward reading more of your posts. Very informative. Great job guys and you have great information. I think I spoke to one of the organising guy in Radisson during GHT press release. I am in Melbourne, Australia and run a travel agency. I would love to keep in touch and also be authorised ticketing agent for the events. Am Silas Kiprop from Eldoret Kenya and I would like your club to invite me to your club for the training . I do train ad from 10k 12k and 21k.. thank you so much. I’m writing an article for the above UK based magazine about the explosion of ultra running in Nepal and India and on whether, the country will produce the next series of ultra running champions. I’m urgently looking to chat to someone for some quotes for the piece about how the scene has grown, what kind of people are getting involved, restrictions on racing for Nepalis etc. Would you be available to Skype or FaceTime this week? I will be in Kathmandu from March 15 to March 18 and would like to hire Upendra or another runner to accompany me in trail runnings. I am a triathlete (amateur) but have no experience with trail running. Sorry, don’t know the answer to this. Check the Garmin website. Hi Pradip, I am also looking at the GHT and was wondering which route you are looking for and from where to where you are planning the route? your Webside is very interesting and looks good. We, schulz sporteisen / schulz aktiv reisen, a german tour operator for running-trips and trekking tours developed a new Trail Running-Trip. With an Nepali guide and a group of fantastic porters and runners, we will carry it out in November 2016 for the first time. As we speak german and fluent english (and our guide fluent nepali) we are still looking for more participants. If you are interested about further informations, I am happy to get in direct contact with you. Any Vertical Kilometre Races dis Year? Could you tell me if Annapurna 100 or Annapurna Ultra Mountain III 2016 are still ongoing for 2016? how to register for Kathmandu ultra marathon? to whom should I contact for more? We are interested in working with you to promote our trail and your sporting activities in Nepal. We would also invite some strong Nepali trail runner by us in June 2017. Are waiting for good news from you. Hi Corrado De Rocco – can you email me the details of the Italy race to amit.mehta@unived.in – Cheers! Click his name above the comment and you will find the website Amit. I am travelling to Nepal, specifically Kathmandu and the surrounding areas from the 08/03/2017 – 23/03/2017. I am very excited to visit Nepal for the first time and I would love to spend some time running the trails surrounding Kathmandu. As it is my first time and was keen to get some pointers/ guidance on the best places to go. https://www.facebook.com/groups/kathmandutrailrunning/ check also Google Earth: https://drive.google.com/file/d/0B_Ipg7lFRofCdGxuaHZBdXlHZTg/view?usp=sharing with some of the routes we know. Fill in the guide request form for more info. I just read Michael Collins’ trip report about crossing the Ganja La. We’re planning on crossing the pass this year and there’s a couple of questions I’d like to ask Michael. Is there a way you can get me through to him via eMail? Glad I have found you! I am searching for a place I can find proper running shoes in Pokhara. Any recommendations? Thanks! Only sports shops in the main city – nothing much for trail running I imagine! looking for a week or two trail running camp this summer. Kindly contact me, I am flexible time-wise. Summer is not the best time. But click the guides image on the home page and send in an email and then everyone who is able can reply to you. I am Pratik Rajkarnikar an event organizer of Himalayan Rush Triathlon race that takes place in Himalayan foothills of Nepal. I was not able to post a article about our triathlon race is your website. I hope you could help me with that. Himalayan Rush is an annual adrenaline-filled destination triathlon that takes place in Begnas Lake, Pokhara – the only triathlon organized in the Himalayan foothills. By combining the thrill of trail running, cycling and fresh water swimming with the breathtaking view of the Himalayas surrounding Pokhara, we strive to give each participant a uniquely Nepali experience, sense of achievement and adventure among local participants. From the first edition in 2012 with only 30 participants, to the sixth in 2017 with 100 plus participants, we have gained popularity among both national and international communities. Though the participation number is small, it is a specialty triathlon that has gained accolades from across the world. The seventh edition in March 31, 2018 looks set to be the biggest yet with an estimated 250 participants. Furthermore you can find our website and Facebook link below. I look forward to listing our event in your calendar aswell. I would like to hire to satellite phone, if cost is cheap i would like to buy 2 phone . I have own trekking agency call Nepal Hiking Trek which help my client so good. Please help me cost detail. Sorry this is not available any more. I’m in Kathmandu for a few days for work staying at the Radisson. I’m an elite masters runner who runs road, XC and trail. I hope to meet with some runners if I can on Monday, Tuesday or Wednesday. I liked your site and you may be able to assist me. I am running 100 miles on each continent within one year and Nepal is on the list, so I would appreciate any assistance for running solo 100 miles in the best and most realistic location in Nepal please? In its race calendar, the “Everest Trail Race” is going to be celebrated next November 5 to 17 of this year. Send some information and pictures, we put on the site. Let us know which Nepal athletes are racing also please? Greetings from Tricycle Magazine! We’re a NY-based Buddhist publication with a circulation of approximately 50,000 (tricycle.org). I came across Mira Rai’s incredible running career through the BANFF Mountain Film Festival, and would very much like to get in touch with her to discuss her life and running career. We’d like to feature a profile interview with Mira in Tricycle’s Summer 2018 print issue. If you could put me in touch with her, or pass along her contact information so that I can reach out directly, that would be very much appreciated. Tulasi Maya Memorial Cancer Relief Foundation is running anti cancer campaigns since 2010. Next year on February 4 we want to organize cancer awareness marathon on the occasion of World Cancer Day. How can we do collaboration with your team? Please write us. Many many greetings to your entire team. Hello, some time ago you had Nepal running trail running. Is’t possible to get two ? I wanted a Ultimate Direction AK Mountain Vest 3.0 that a runner wears during the race to carry water and his stuff. Do anyone have an idea where I can buy it here in Kathmandu? My wife and I have just trekked from Shivalaya to Lukla via the Numbur Cheese Circuit, the Dudh Kund Circuit and onwards to Lukla direct from Saharsbeni. On the last leg, through some very wild country, there were both red and blue markers which we were told were put there for two separate ultramarathons, but I cannot find any details about these two races. Can you tell me where I can find more details about these races please as I make public my free tracknotes that are very popular. I am not sure exactly which race is which, certainly this: http://www.everesttrailrace.com/en but the other I am not sure… do you have pictures of the markings? I’m trying to get some information about the upcoming Stupa to Stupa race on the 16th March. I would like to confirm my registration and confirm start times as well as race pack pick up times and location? The race website does. It seem to be currently working. Any assistance much appreciated.